Beginning today, the Roanoke Regional Airport Commission is announcing changes to short term parking lot accessibility. 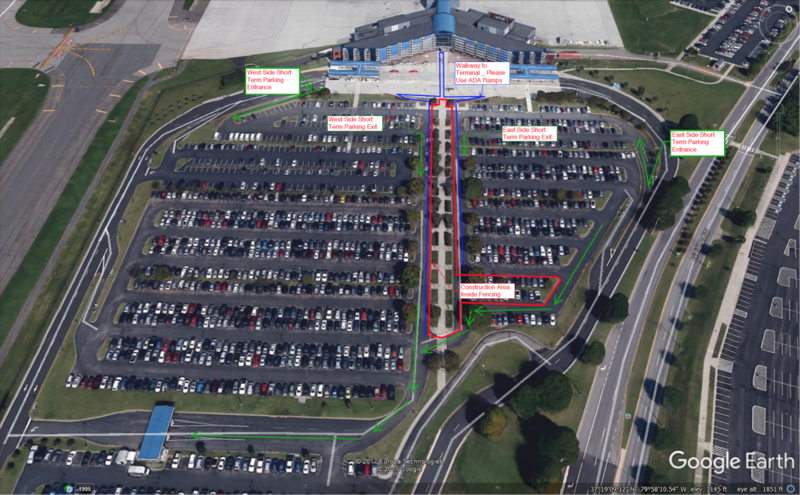 As normal, customers will be able to enter the short term parking lot from the east and west ends of the lot. However, accessibility in crossing over the sidewalk from east to west parking lots and vice versa is ending with the continued construction of the canopy walkway. Signage is in place to guide customers around the construction to exit the parking lots. Construction on the walkway canopy began August 14, 2017 and is expected to be complete March 19, 2018. The canopy will provide protection from the elements for travelers from the end of the long term parking lot to the terminal. Customers wishing to avoid construction may park in the overflow lot across the street from the airport terminal.